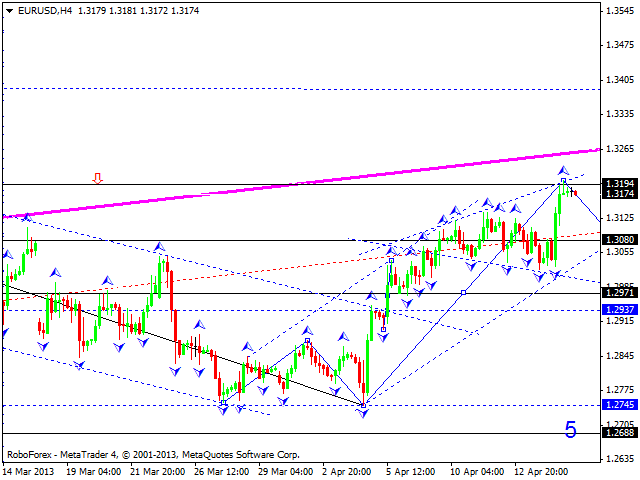 The EUR/USD currency pair reached the level of 1.3190, which is the highest for this correction. We think, today the price may form another descending structure towards the level of 1.2700. However, it looks like we are going to see another correction, that’s why we can only expect a correctional movement to return to the level of 1.2970. Later, in our opinion, the pair may move upwards again to renew the current maximums. The GBP/USD currency pair continues forming the third ascending wave; right now, the market is inside a consolidation channel, it may continue growing up and form triangle pattern. The structure of this ascending movement implies that the price may reach the level of 1.5390, which is near the pattern’s upper border. Later, in our opinion, the market may continue falling down inside this consolidation channel towards the pattern’s lower border. 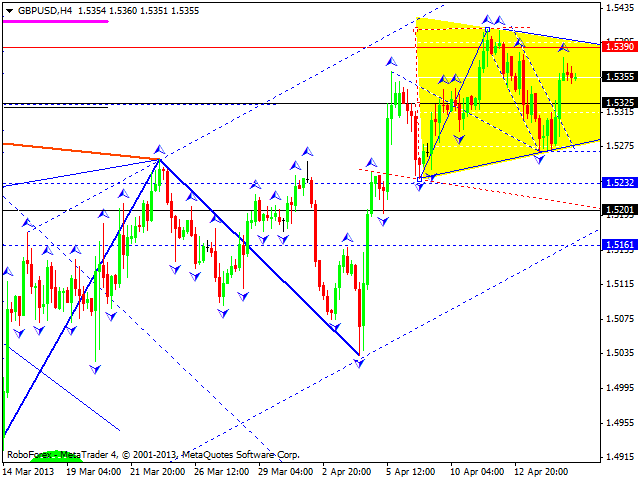 The USD/CHF currency pair reached the level of 0.9220, which is a local target inside the third ascending wave. We think, today the price may start a correction to return to the level of 0.9370 and then form a new descending structure to reach the level of 0.9200, thus completing the third wave. Later, in our opinion, the pair may start a new correction. 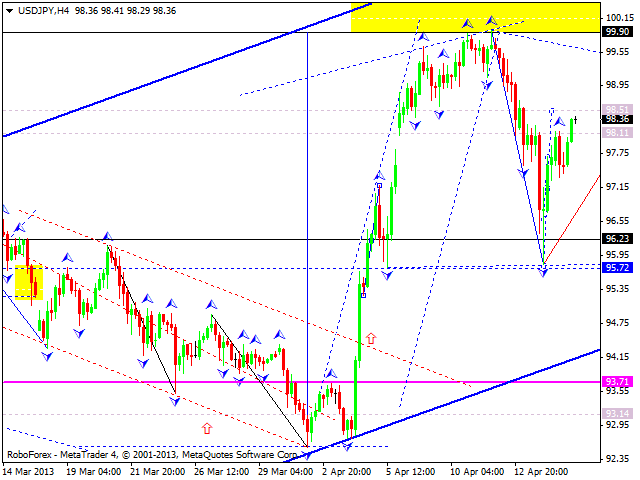 The USD/JPY currency pair completed a correction. However, the structure of this correction implies that the market may move upwards a little bit to reach the level of 98.50. Later, in our opinion, the price may start another descending structure, the third one, towards a predicted target at 93.70. After the pair breaks an ascending channel, the price may form a consolidation patter, which will help us to define more precise target. 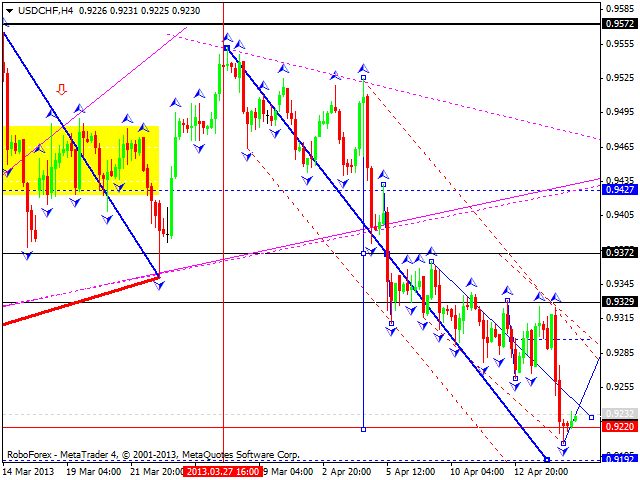 Australian Dollar is trying to form a correction towards the level of 0.9420. 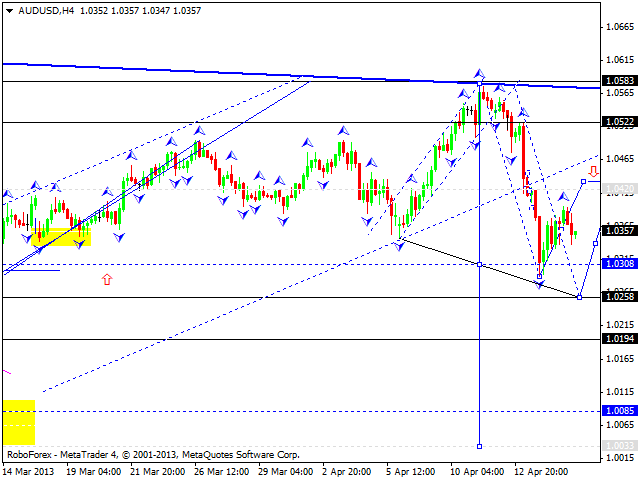 We think, today the price may continue moving downwards to reach the target at 1.0258. Later, in our opinion, the pair may return to the level of 1.0420 once again and then start forming the third descending wave with the target at 1.0085. Gold expanded the first ascending impulse and right now is correcting it; the lowest point may be the level of 1350. Later, in our opinion, the instrument may continue growing up towards the target at 1450. 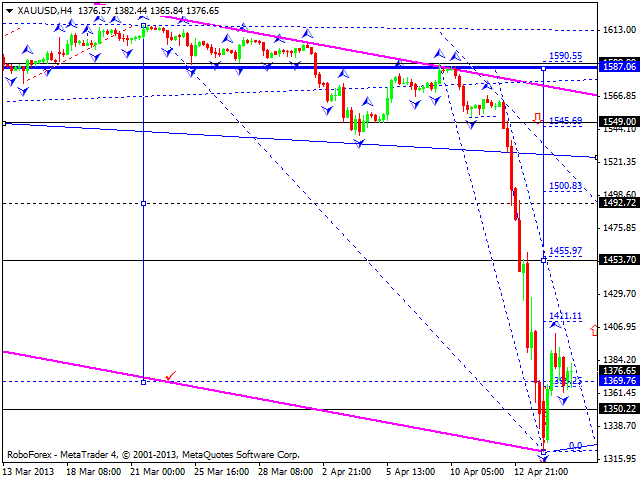 The main Target of this ascending correction is at the level of 1590.